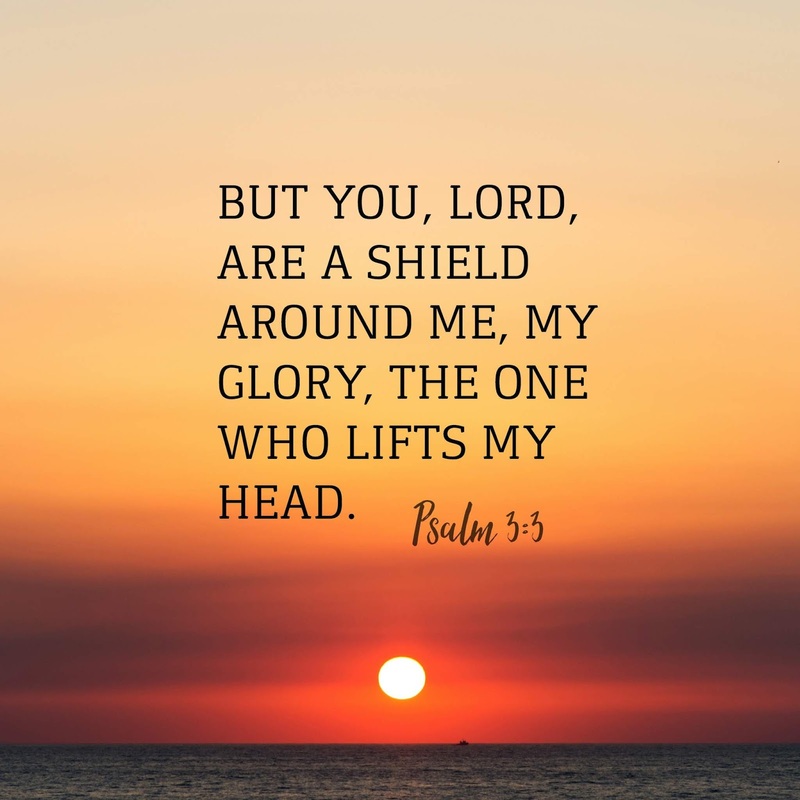 Lord you are MY shield. All around me…I am completely covered by the power of the Lord. On my right and my left, ahead of me and behind me. No weapon formed against me can prosper for I am unable to be penetrated! Divine protection. Lord you are MY glory. David was a prominent man with status and position. Yet he knew that his identity and his value was not in his job or military rank…His validation came from God! Your identity is not tied to your past…your value is not tied to your performance…He is YOUR glory…your validation comes from Him not people! You are divinely defined! 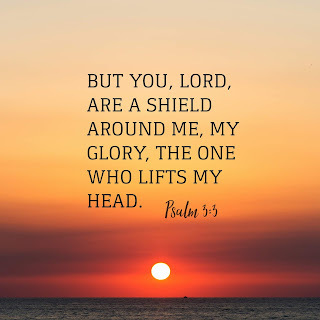 Lord you are the One who lifts my head. In those days when the king lifted up your head it meant that you were accepted. You were once again restored to the place that you had been. On the other hand when the king put his foot on your neck, it meant that rather than lift up your head he was about to cut off your head! David was “in the moment”. He did not respond to the negative things they were saying. He talked to the Lord and reminded himself just who God was. When we remind ourselves who God is we can see ourselves as God does. We matter. We have hope because he protects us, he promotes us and he lifts up our heads…positioning us for the best possible success.